Dynasty Warriors games are some of my favorite titles, if only to relieve some stress by defeating a ton of enemies at once. Yet, I always found myself drawn to the spin-offs more than the main series, with titles such as Dynasty Warriors: Gundam, Hyrule Warriors and more. 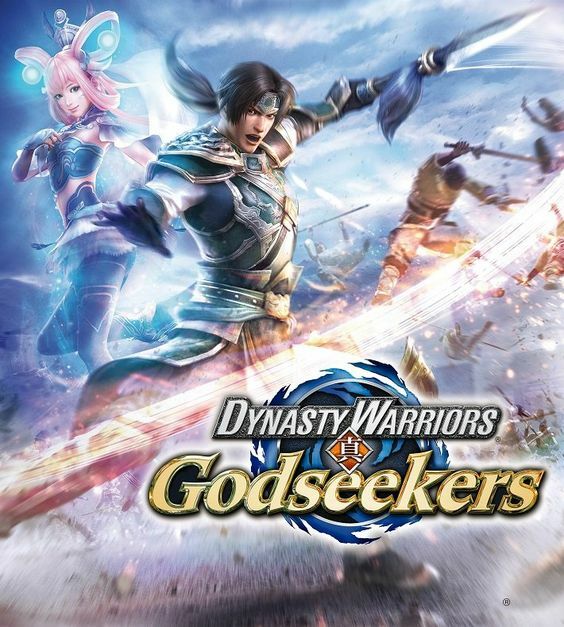 So when I heard of Dynasty Warriors: Godseekers being a tactical game, I found myself a bit intrigued. Can it wipe the floor with its competition just like all the nameless soldiers constantly killed? Or has the blade dulled? Let’s find out! Lixia and Lei Bin aren’t terrible additions, though Lixia’s character type has been done before. The story is sadly nothing special. 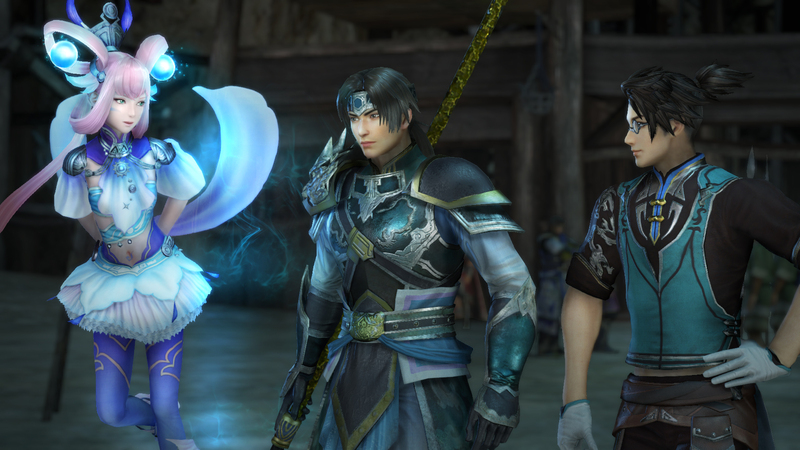 It stars Zhao Yun, along with his best friend and new character, Lei Bin. Due to the war going on, and later being cornered by the Yellow Turbans, they uncover another original character/mystical being called Lixia. Together they journey and partake in many battles to help Lixia regain her power, along with making sure the likes of Lu Bu and Cao Cao do not misuse the orbs for their own purposes. Because the series has so many characters, the game mostly expects you to know who they are, and it is hard keeping tabs on just about everyone. Combined with how the plot moves slowly and a weak finale, the plot isn’t all that great, especially regarding a certain twist that just makes one character look like an idiot. The side stories can offer a bit more interesting info, at least depending on which characters you like. Some try to offer reasons for characters joining one another, while others are a bit more comedic. For example, two characters defend a chef trying to make meat buns, but the smell keeps attracting very powerful and hungry warriors. I think you would need to be invested in the characters in previous games as this game is not a good introduction to the series’ main cast. That doesn’t mean I hated the characters, though. 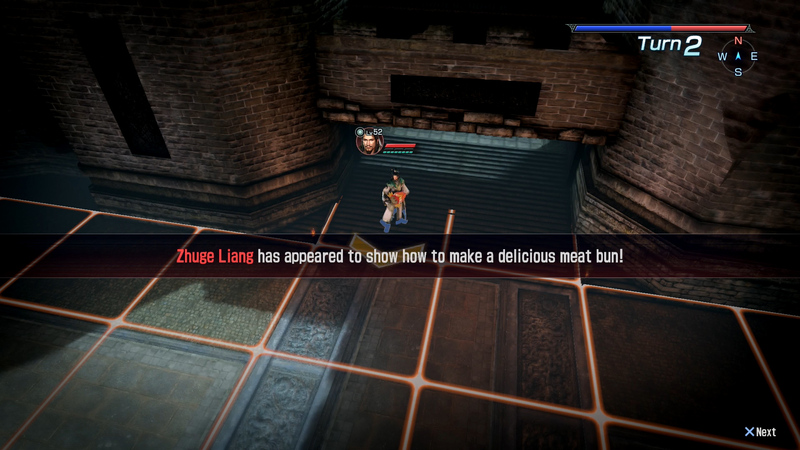 I wasn’t kidding about the meat bun mission. You can learn more about them through another mechanic; The Path of Destiny. By fulfilling certain roles in combat and progressing through the plot, such as defeating certain characters with certain other characters or leveling them up to the appropriate level, you can unlock character conversations and even the characters too, or at the very least quests to unlock them. There are other benefits to doing these as well, such as more money and items, along with skill points to help buff your character. However, it takes more than just the standard requirements as you also have to be friendly with certain other characters in order to get some conversations. Because certain characters can die off for good in the story, you’ll have to go through new game plus if you wish to recruit them. The incentive for a replay is there and easily extends the life of the game by several hours, if not doubling it. The Path of Destiny definitely helps extend the game’s life by several hours. Presentation-wise the game looks decent, but for a PS4 game I honestly expected better. The animations with the soldiers are very lacking. 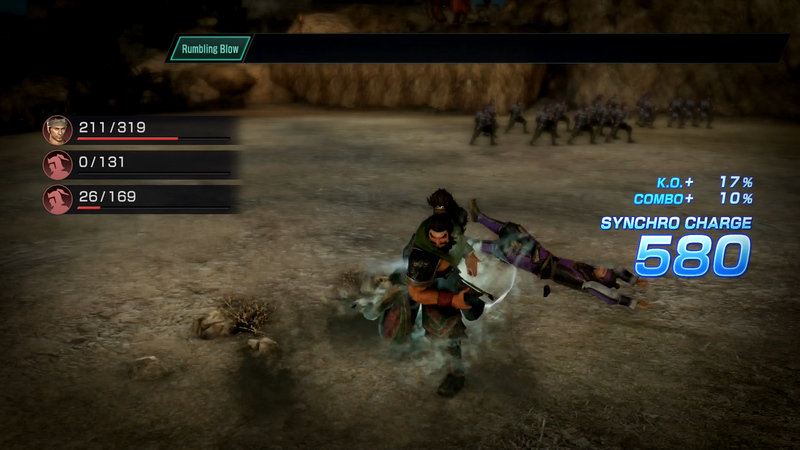 Some attacks can look cool, though there are some problems, like the attack animation being shown… but with no enemies around. Some attacks that involve grabbing a foe seem to lack contact, and the soldier will be a foot away as your ally spins them around. This doesn’t happen too often, but it’s distracting unless you are skipping animations by holding down the circle button. The music also feels slower compared to the fast tempo of other Dynasty Warriors games. It works for this style of game, though nothing astounding is presented as a result. There are also a few translation errors, such as spacing of words at times or even misspelled words. The visuals, though, do make sense when I realized this was previously a PS3 game in Japan. Unless you skip the animations, it’s easy to point out the weirder elements. At first, combat is interesting. Each character has a set of moves that can attack a certain number of squares, allowing you to take down multiple foes at once. 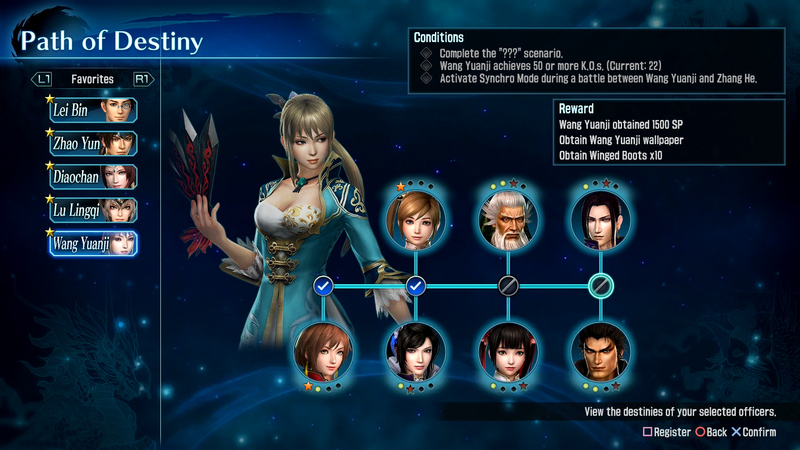 An example would be Zhao Yun with his standard attacks, able to pierce up to two foes in a row, but he can later gain a new attack that allows him to strike three enemies in front of him. Sometimes these attacks can gain bonuses, such as lowering stats and healing the user when leveling up. There is some element of strategy here as characters are separated into unit types, with mobility units able to move around foes more easily, shield units blocking attacks easier, and more. It’s honestly not as important as positioning of units though, for attacking an enemy’s side or back does more damage. Or, if your character can attack from far away, which not a lot of characters can do. Lei Bin and Sun Shangxiang are the only two characters I know of that can do this while Sun can only do it through a Musou attack. Speaking of which, Musou attacks are also here and tend to carry much more power, capable of destroying soldiers on the field with ease. However, all of these are limited by a stamina bar that goes down a certain number depending on the move, and only restores by three points every turn. Going all out in one turn could mean your character is much less effective on the next one. The Musou attacks are not exempt from this either. By killing more soldiers, your allies also gain more morale. This is a good indicator for how a battle is going unless someone ambushes a target you are supposed to be protecting.